2. 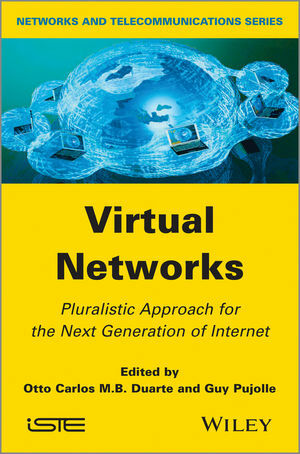 Virtual Network Interfaces, Miguel Elias M. Campista. 3. Performance Improvement and Control of Virtual Network Elements, Igor M. Moraes. 4. State of the Art in Context-Aware Technologies, Edmundo R.M. Madeira and Guy Pujolle. 5. Providing Isolation and Quality-of-Service to Virtual Networks, Miguel Elias M. Campista. 6. Piloting System, Edmundo R.M. Madeira and Nelson Luis S. Da Fonseca. 7. Management and Control: The Situated View, Otto Carlos M.B. Duarte. 8. System Architecture Design, Otto Carlos M.B. Duarte. Otto Carlos M.B. Duarte is Full Professor at Universidade Federal do Rio de Janeiro in Brazil, where he has worked since 1978. His research interests include mobile communications, security, multicast, and QoS guarantees. Otto Carlos M.B. Duarte is Full Professor at Universidade Federal do Rio de Janiero in Brazil, where he has worked since 1978. His research interests include mobile communications, security, multicast, and QoS guarantees.